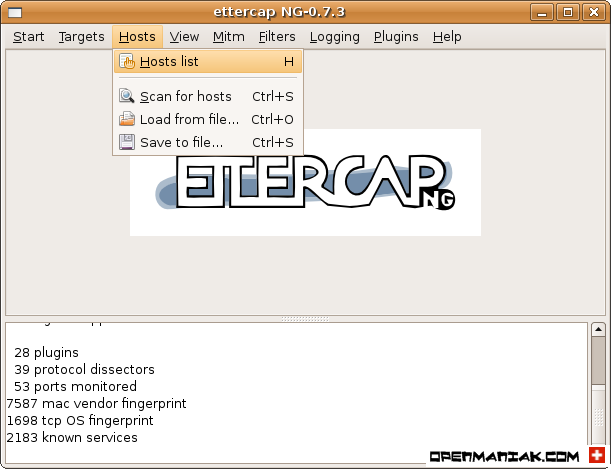 In this first tutorial, we will place our Ettercap machine as "man in the middle" after an ARP spoofing attack. 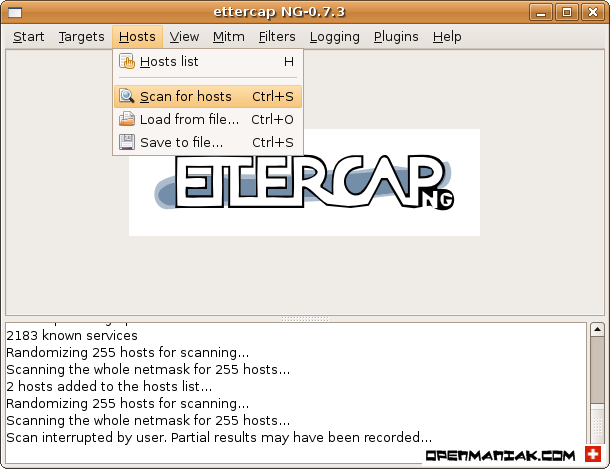 The network scenario diagram is available in the Ettercap introduction page. The first thing to do is to set an IP address on your Ettercap machine in the same IP subnet than the machine you want to poison. For our tutorial the 192.168.1.100 IP address is used. See the networking tutorial for detailed explanations about how to set an IP address on your Linux box. 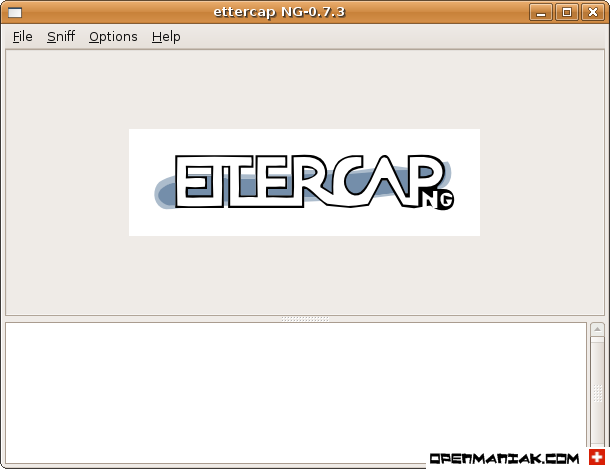 As a reminder, Ettercap will need root access to be launched then it will be supported by the 'nobody' user. The network range scanned will be determined by the IP settings of the interface you have just chosen in the previous step. See the MAC & IP addresses of the hosts inside your subnet. We chose to ARP poison only the windows machine 192.168.1.2 and the router 192.168.1.1. Highlight the line containing 192.168.1.1 and click on the "target 1" button. Highlight the line containing 192.168.1.2 and click on the "target 2" button. If you do not select any machines as target, all the machine inside the subnet will be ARP poisoned. Finally, start the sniffer to collect statistics. Before being able to communicate together, the router and the Windows machine send an ARP broadcast to find the MAC address of the other. The router ARP broadcast request is answered by the Windows machine similarly than in the previous capture. The difference between the two steps comes from the fact that there is no request coming from Windows (192.168.1.2) to find the MAC address associated to the router (192.168.1.1) because the poisoner continuously sends ARP packets telling the Windows machine that 192.168.1.1 is associated to his own MAC address (11:22:33:44:99:99) instead of the router MAC address (11:22:33:44:11:11). 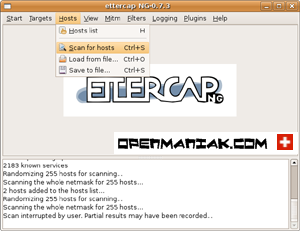 If we look at the router and Windows machine ARP table, we see that the Ettercap Linux machine poisoned their ARP table and replaced the router or Windows machine MAC addresses by its own MAC address. 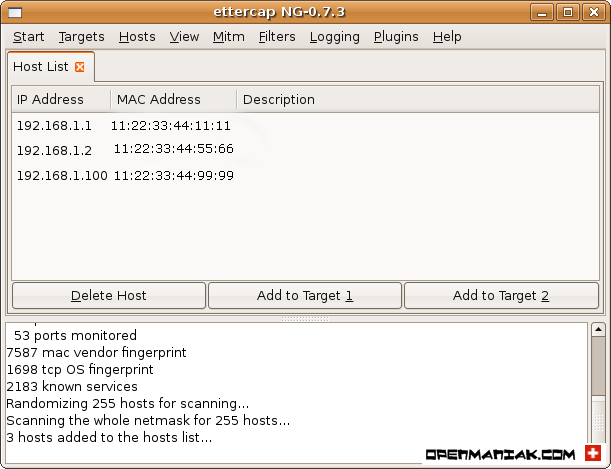 This means that the packets between the Windows machine and the router will transit through the Ettercap machine. Ettercap is pretty effective. After the attack, it will "re-arp" the victims. In other words the victims ARP cache will again contain correct entries . If the cache still contains poisoned IP - MAC address correspondences, you can either wait some minutes, which is the time needed for the entry ARP cache to refresh itself, or, better, clear the ARP cache. After this tutorial, the ARP table of the router and the Windows machine are poisoned: The Linux machine is now "in the middle". 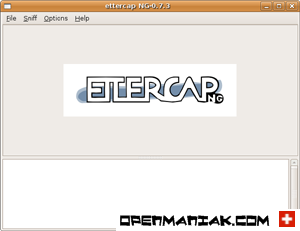 To launch attacks, go on with the Ettercap filter tutorial.